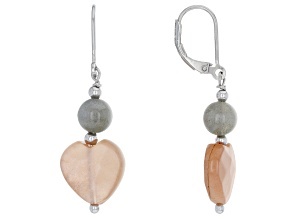 Stand out in a crowd with a pair of gorgeous moonstone earrings from JTV. 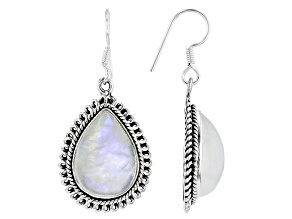 From great brands like the Artisan Gem Collection of India™ the great moonstone earrings from JTV allow your lobes to model a mysterious, ethereal look – like a full moon glowing from behind a thin veil of clouds. 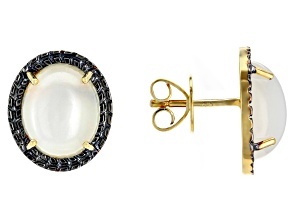 Moonstones have been featured in jewelry for millennia. Beloved by the Ancient Romans, Greeks and more, moonstone was originally believed, as its name implies, to be made of solidifed rays from the moon. While this may not be true, it's easy to see why it was believed – moonstone possesses an unusual trait known as 'adularescence' which scatters the light that strikes it giving it its signature hypnotic lunar glow. 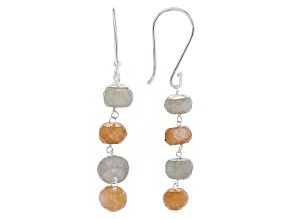 Moonstone is one of the birthstone options for the month of June, making moonstone dangle earrings a perfect gift for the Gemini in your life. It is also considered lucky for those born on Monday, which derives from the Latin dies lunae or 'day of the moon'. 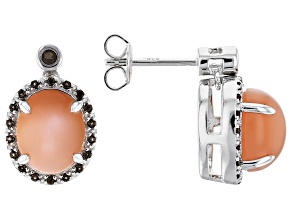 To discover even more great moonstone earring options, explore JTV's array of rainbow moonstone earrings. Then, check out JTV's larger collection of moonstone jewelry such as moonstone bracelets, moonstone necklaces and moonstone rings. With JTV, you are sure to find gorgeous jewelry that is truly out of this world.